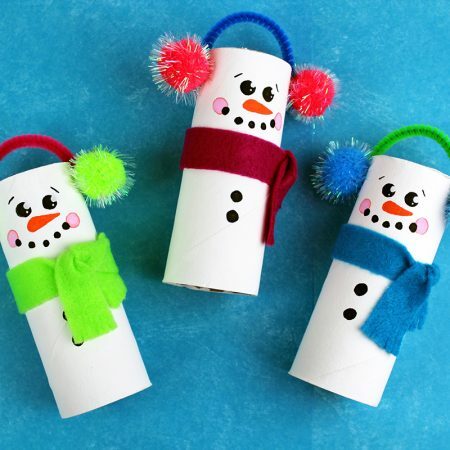 This Recycled Toilet Paper Tube Christmas Snowmen is a fun snowy day craft for the kids! The Christmas break from school is almost upon us, and while playing with all the new toys is fun, my kids love to craft! 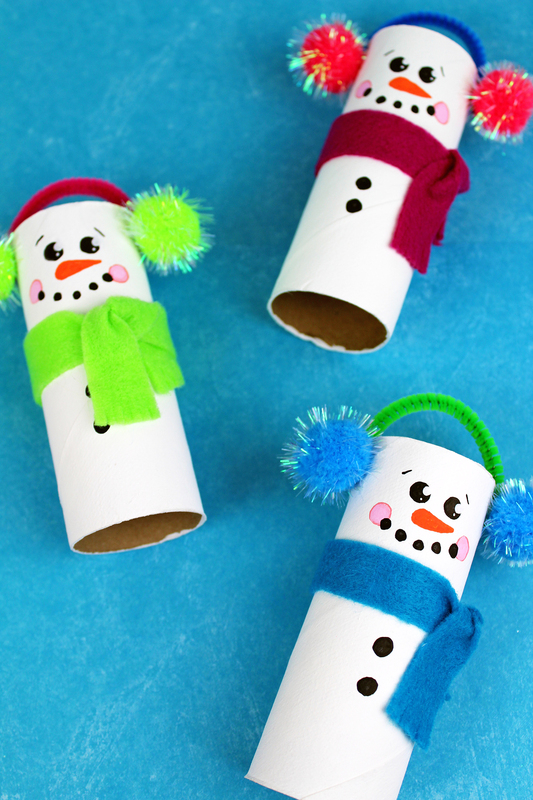 I’m going to be sharing some fun and easy crafts the kids can do over the holidays, or even at Christmas parties to keep busy. If there is one thing most kids love to do is be creative. My girls have always had a love for crafting, and the holiday breaks are usually full of crafty fun in our home! 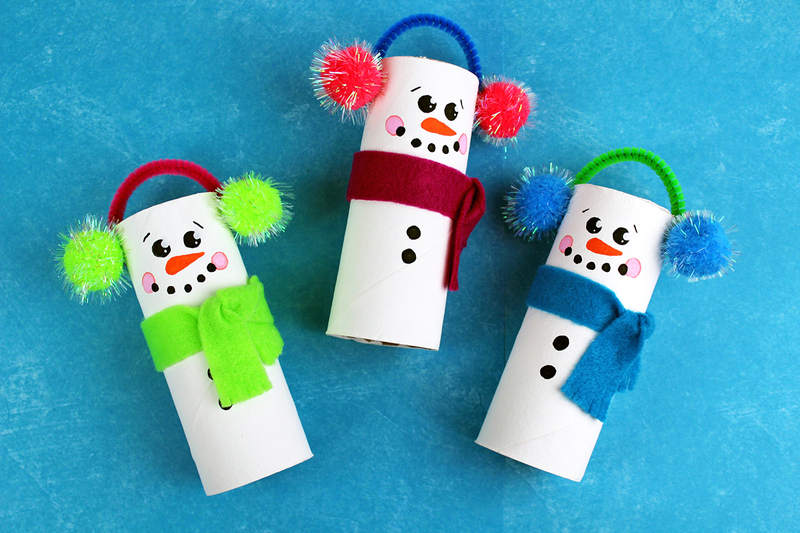 These recycled toilet paper tube Christmas snowmen are super fun and easy to make. 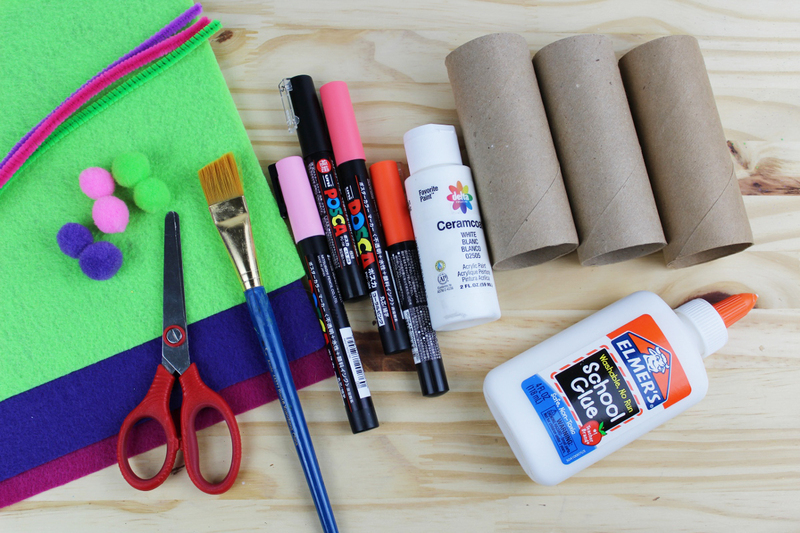 They would be the perfect craft to set up a little station for during your holiday gatherings to keep the kids occupied. Lets face it, how many times do your kids say “I’m bored” during holiday parties? We always like to set up activity stations at our family parties with things to keep the kids from bugging us to open presents or go home! 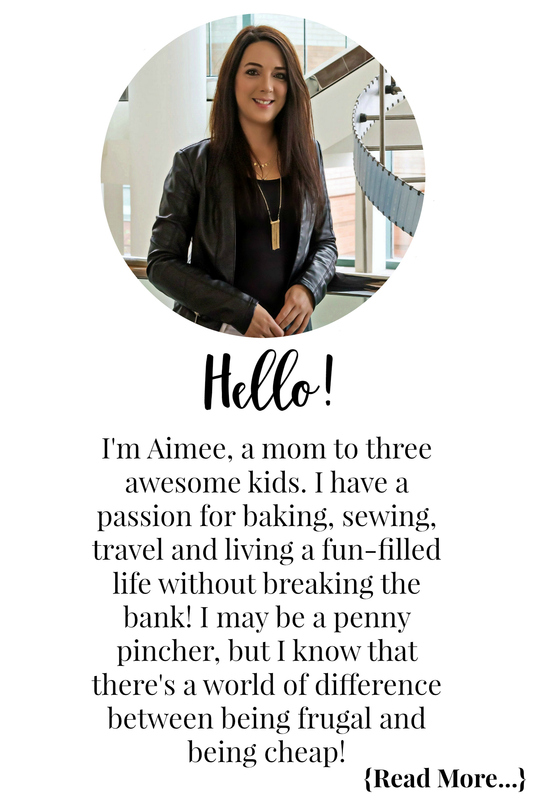 Check out the in-process photos below and then print out the full supply and instructions printable afterwards. If you are setting up a station at a holiday party, you can hang the instructions near the table for the kids to follow! 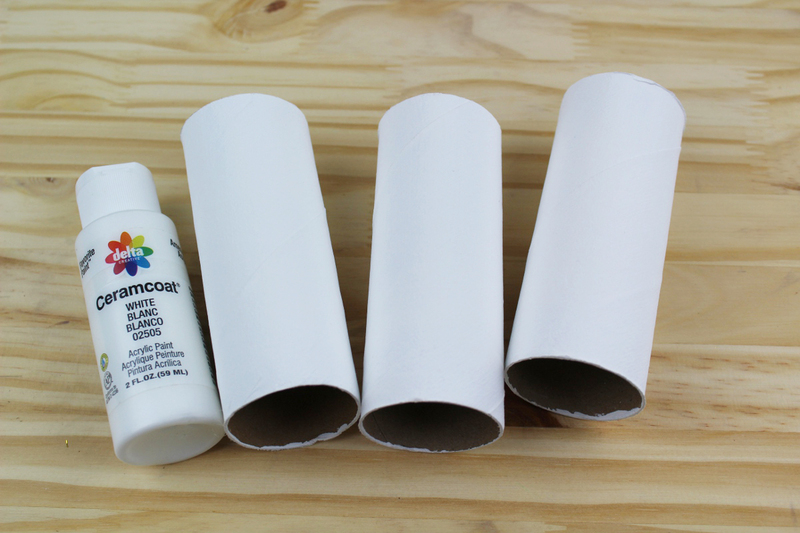 Next you will paint your toilet paper rolls with the white paint. Once they are painted allow them to dry for a few minutes. 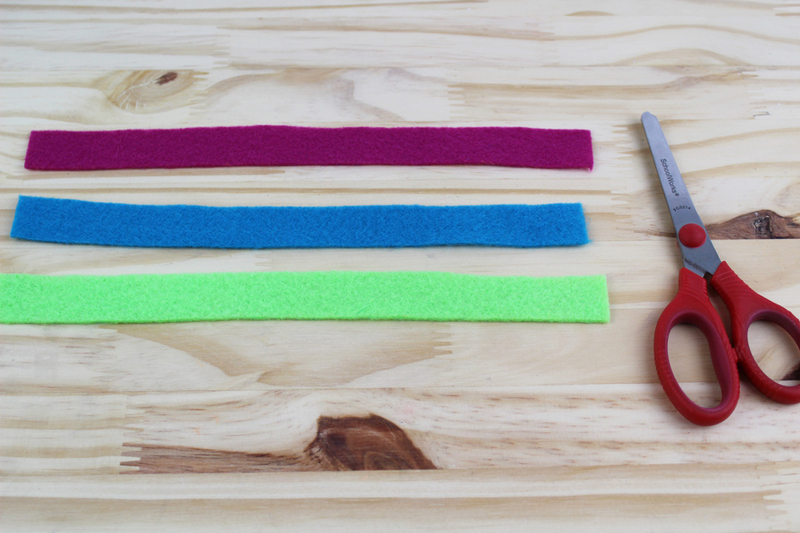 Cut strips of felt out for the snowman’s scarf. 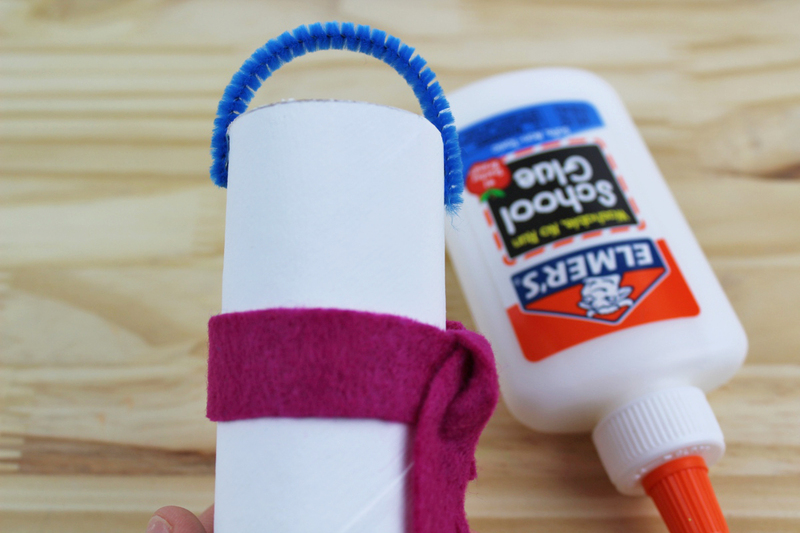 Tie the scarf around the tube. 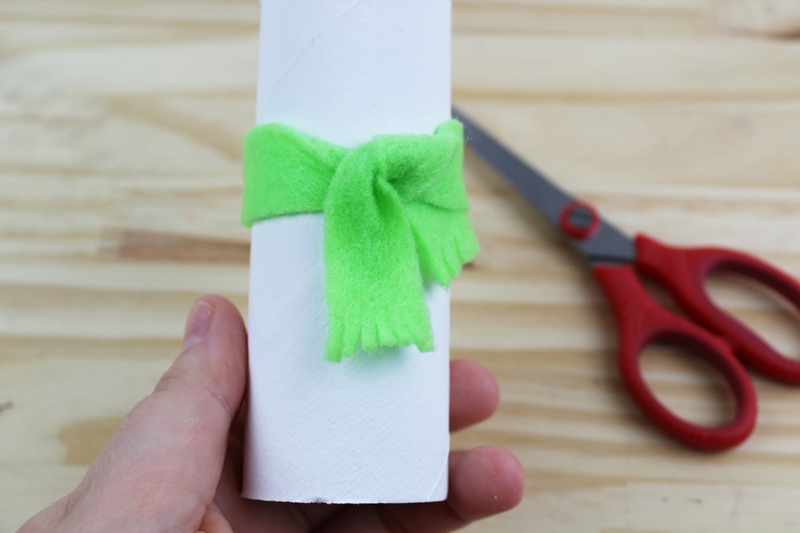 Using scissors make little cuts on the ends for scarf fringe. 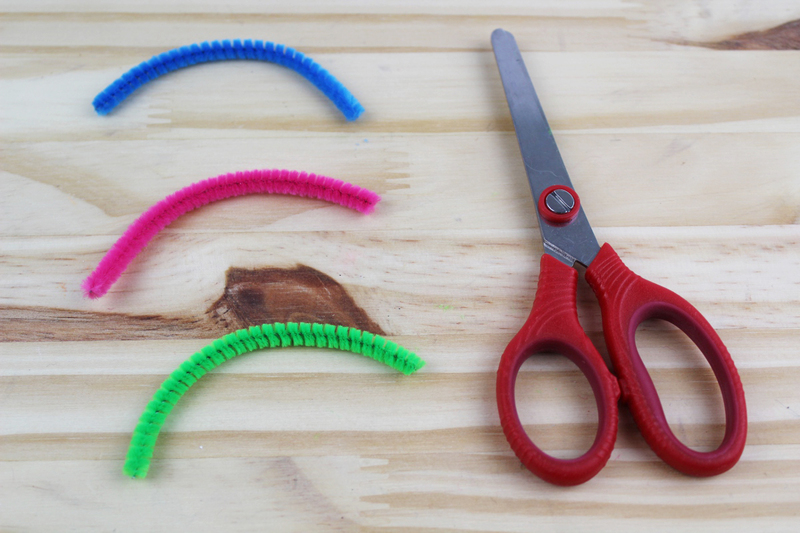 Cut some pipe cleaners long enough to go over the top of the tube and bend them into a curve. 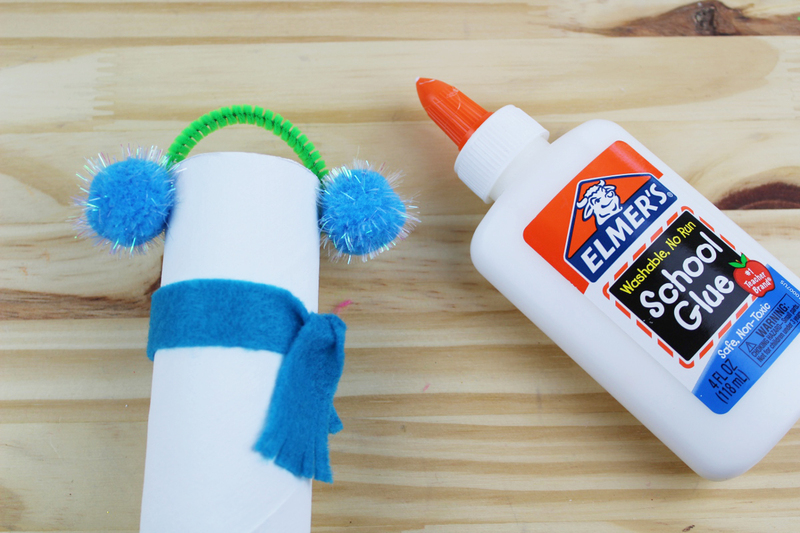 Glue the pipe cleaner to the top of the tube for the earmuffs. 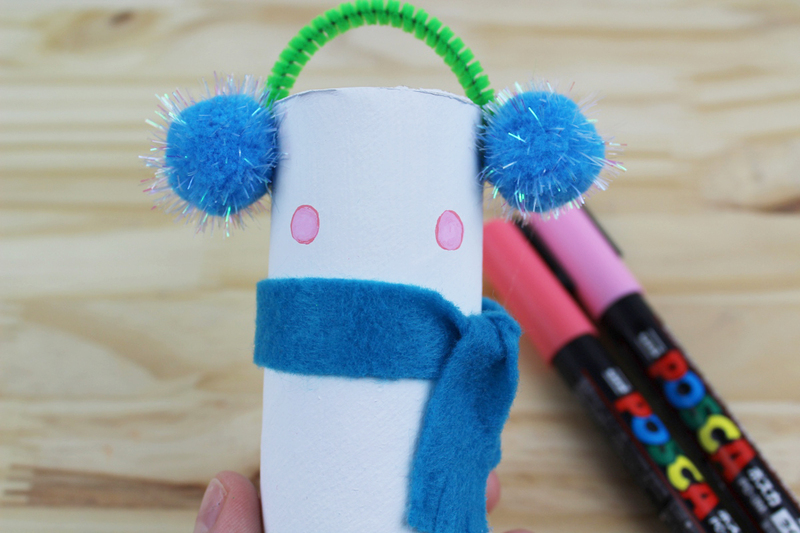 Using glue, add one pom-pom to each side to complete the earmuffs. 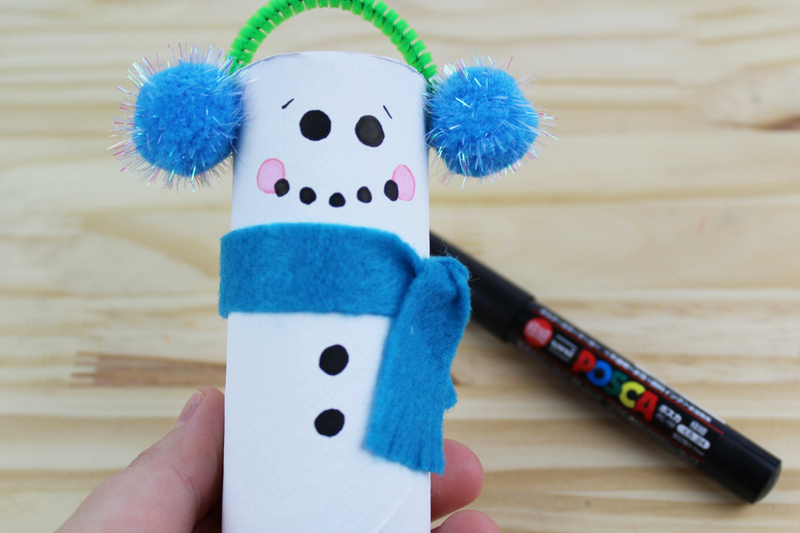 Draw on rosy cheeks to your snowman. Next draw on his eyes, mouth, and buttons. Give him a carrot for a nose. Put some detail in his eyes with a white paint pen or marker. These cute guys can be stood up on display or hung on the tree by their earmuffs! 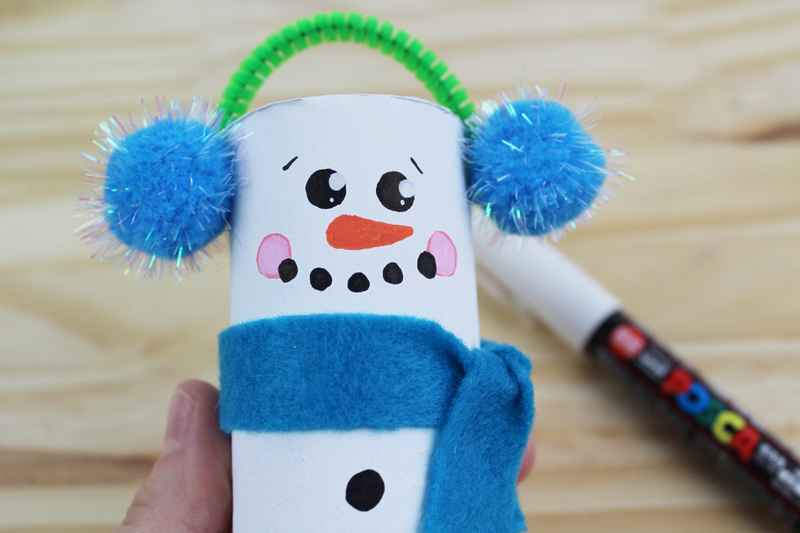 Using glue, add pom poms on top of where you glued the pipe cleaners down. Refer to the photo. Use a pink paint pen or marker to draw on rosy cheeks. You can outline the cheeks with a darker pink if you’d like. Draw on eyes, eyebrows, a mouth and coal buttons on the chest using a black paint pen or marker. 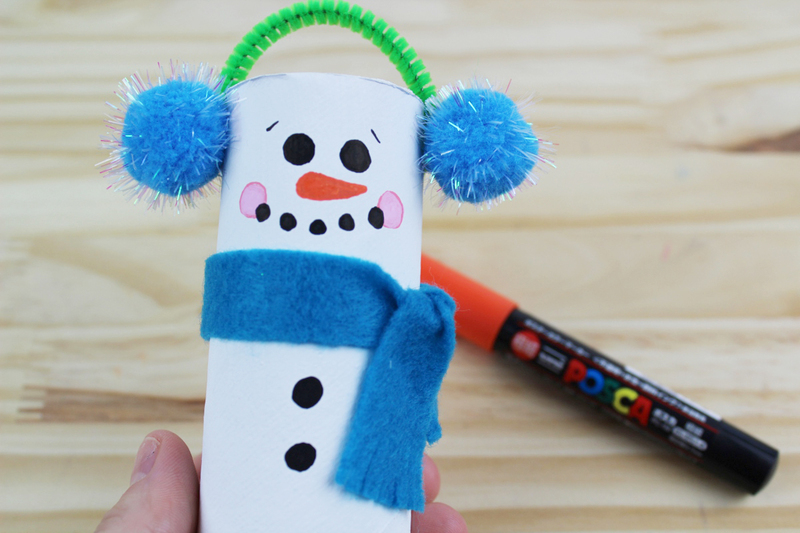 Use an orange paint pen or marker to draw on a carrot nose. 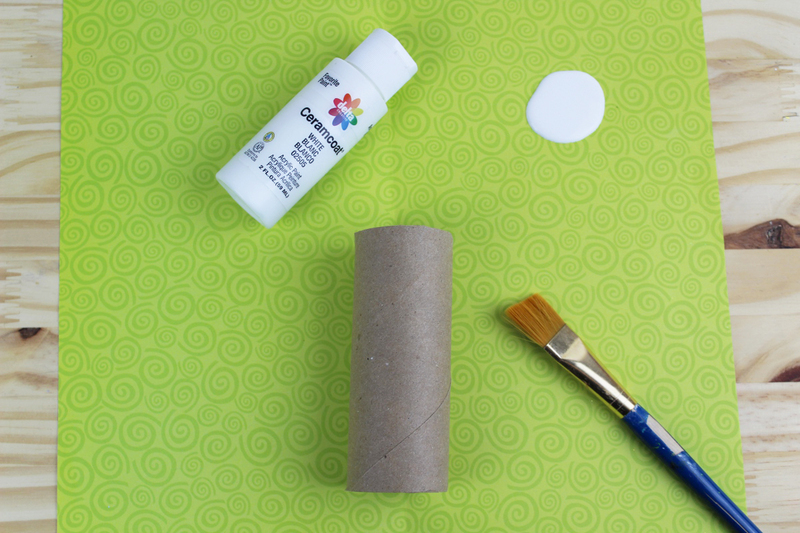 Add expression to the eyes using a white paint pen or marker. Your snowmen are finished and ready to be displayed this holiday season. Thank you! We are going to be making these this week. So adorable.